I used to be in a BUNCO group before I moved to Denmark, and I have said so many times that I NEED to teach the good folks of Herning how to play! Well after this week's time in Texas, I am more determined than ever! Mom and Dad went to Couples' Bunco one night and I tagged along. 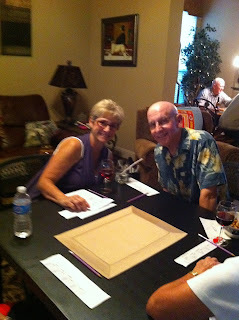 It was so fun to watch them hanging out with their friends out at Heritage Ranch and just confirmed the fact that I AM going to start a Bunco Group in Herning. 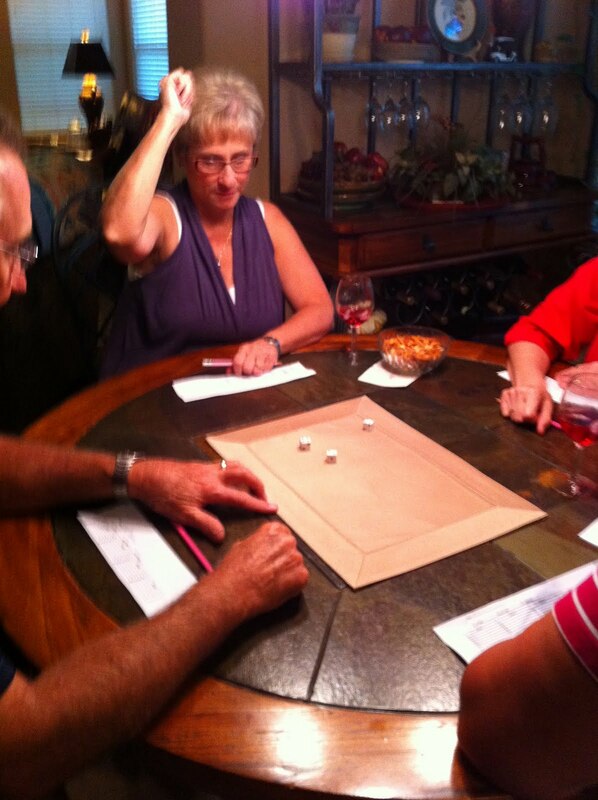 So I am sure you are all wondering WHAT THE HECK IS BUNCO?! Well, all you need is 12 dice, 12 people (with 5 bucks each), 12 pencils, 3 tables, 12 chairs and a bell! Take a look and see if you can figure it out! so when i hear the word "bunco", i used to think of old people. 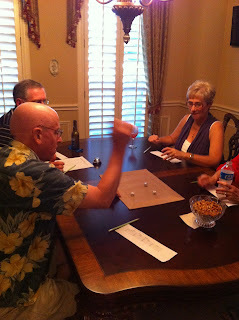 apparently i was confusing it with "bridge"...because alot of my girlfriends do bunco nights together back home. i need to learn this!!! it sounds fun! Looks fun! 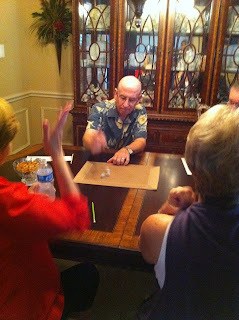 Can't wait to read the how to...we love playing games, and I need to find one that I can beat Henry at...maybe BUNCO is it?! Well get going... create that Bunco night.. I'll show up!